Hi! 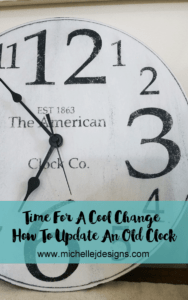 It has been a while since I participated in the Thrift Store Challenge but I am happy to be back among these talented bloggers. Today, for my thrift store upcycle I am making over a vintage metal bread box! 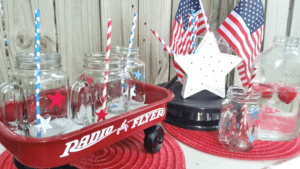 I love to find these at garage sales or thrift stores because they are great for so many things. 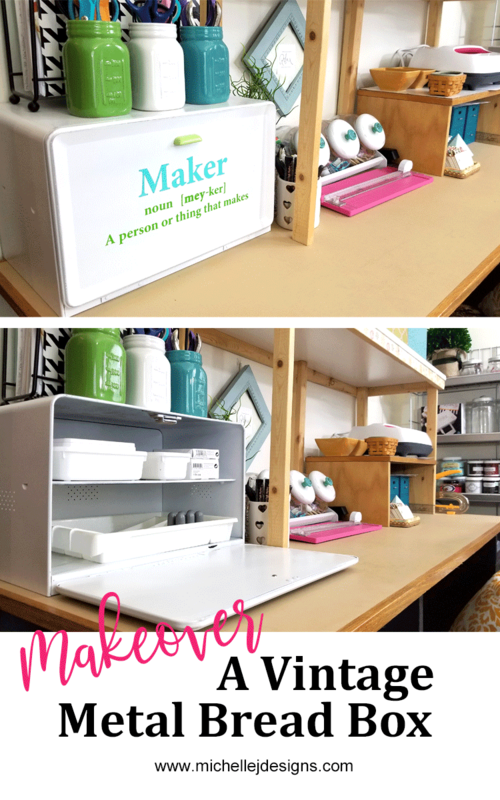 Keep reading to see this fun makeover for my craft space. 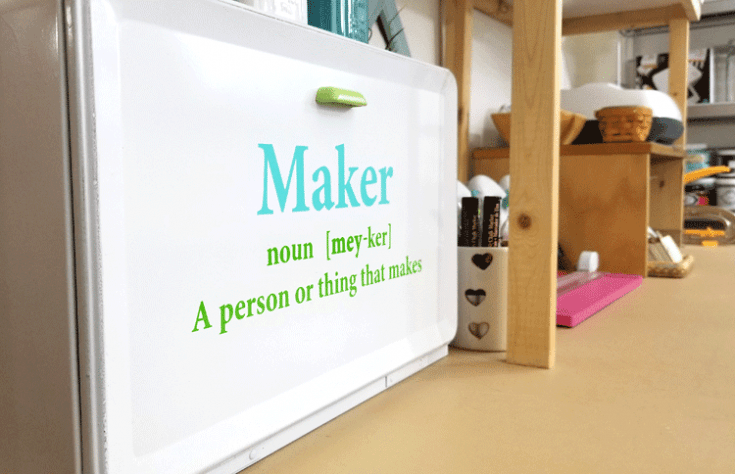 You can find the Maker definition cut file in my resource library if you would like to download it and use it on a project of your own. As I mentioned above I used to be involved in this challenge every month. I am not sure what happened the last 4 or so months but I am back now to get back into the up-cycling game. These old bread boxes are great for so many different things. I upcylcled a wooden bread box into a charging station for our guest bedroom and it gets used every time we have company. So I was really excited to find this one at an Estate sale. AND…to make it even better they through it in for FREE! See how I made over my metal bread box in the step-by-step video below. And be sure to subscribe to my You Tube Channel! Below is the step-by-step written tutorial as well! I have added affiliate links for your convenience! You can read my full disclosure here. 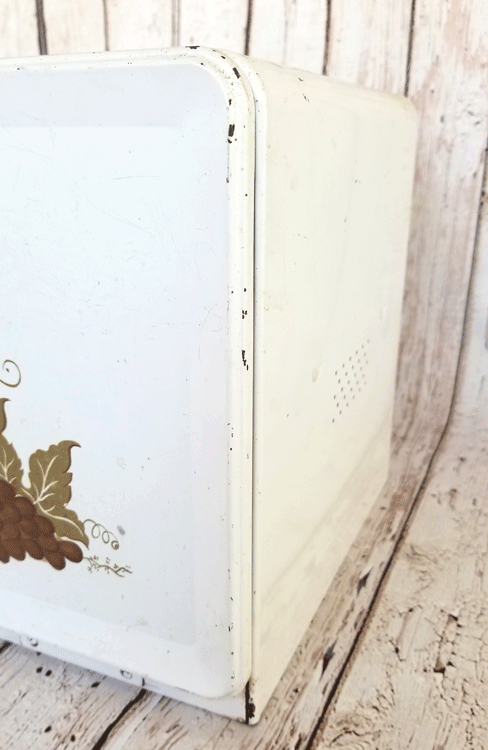 Make over a vintage metal bread box using paint and vinyl! Repeat step 2 with white spray paint. 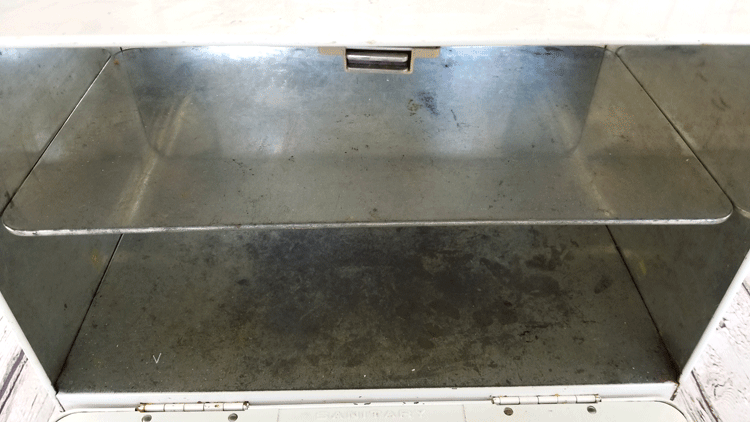 This metal bread box was a little dirty when I picked it up but it also sat in my garage for a while. Needless to say it was dusty and dirty. You can also see in the photo below that it was a little dinged up. 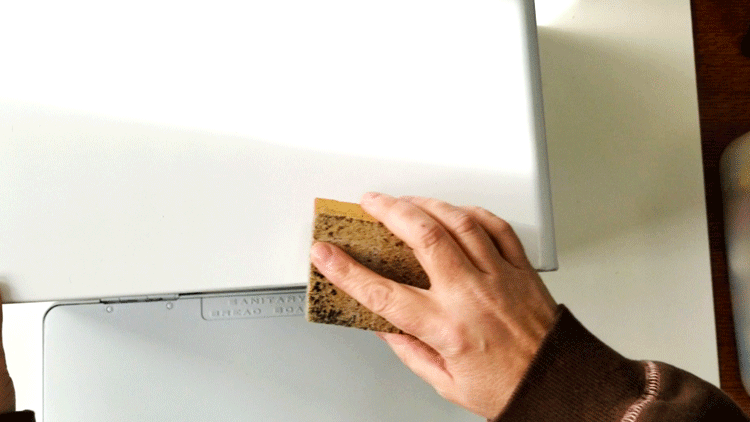 This is a photo of the inside The shelf comes out which made it easy to clean. I really love the 70’s golden fruit on the front. LOL! Anyway, I just used a warm soapy wash cloth and gave it a good bath. Once it was nice and dry and clean it was ready for paint. Anytime I need to paint something I always try to figure out if spray paint will work. It is my first choice because it is so easy. I did get a few drips when I painted the black coats but it was ok. A little bit of sanding made them virtually invisible after the white paint went on. 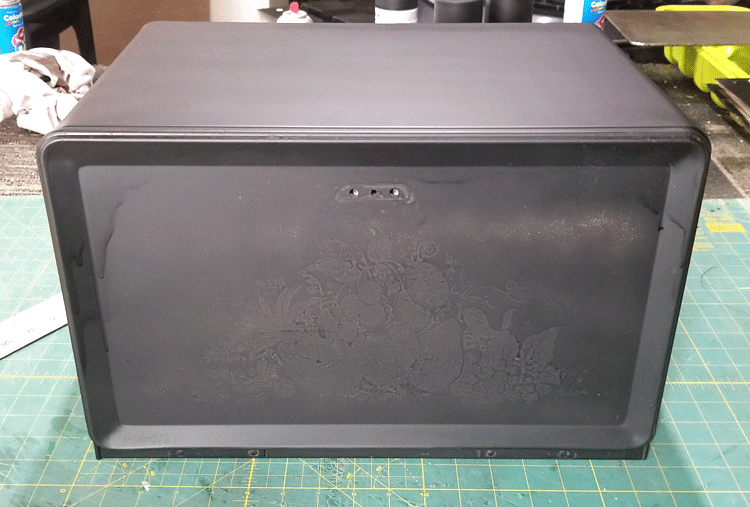 The photos below were taken after two coats of flat black paint/primer. Then I gave it two coats of the white which you will see in the next step. The reason I paint the black first is to be able to distress a little bit and have the black paint show through. I like this look but on this project I really wanted minimal distressing. I didn’t want to sand too much or too hard. If I did that I would sand past the black coat and into the original paint. I used a fine sanding block and went around all of the edges/corners and the door. Since this was going in my craft room I really wanted something in the crafty theme. Maker is the new word for crafter. Did you know that? 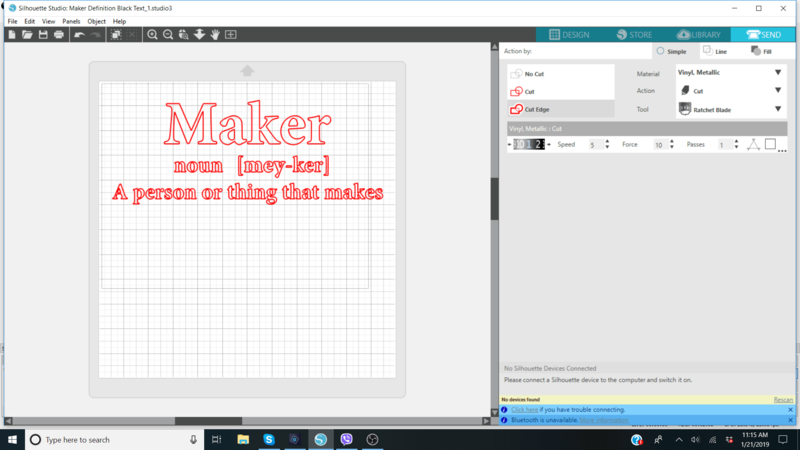 I love the word maker so I looked it up on dictionary.com and created a file to use on my Silhouette. Below is a screen shot of my Silhouette design space. 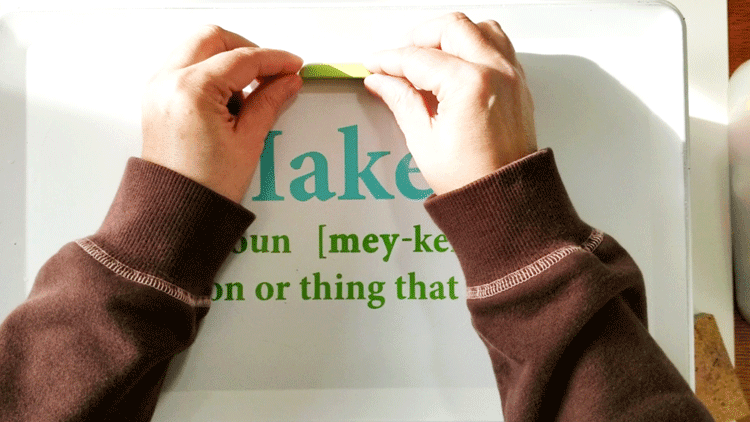 I cut the word “Maker” out of teal vinyl and the rest of the design from green vinyl. I show how to add two colors of vinyl to your mat and cut all at one time in my Valentine Mason Jar post if you are curious. When it was all cut I got the transfer tape ready and placed it on top of the vinyl. If you haven’t used transfer tape. Be sure to check out the video in my Wooden Table Runner post. It shows exactly how to use it. I added the teal design first and used a ruler to make sure it was centered and straight. Then I repeated this step for the rest of the design. Step 5: Re-attach the handle. I loved this tiny handle and thought about replacing it with a different knob or handle but I thought it was cute. A tiny bit of green spray paint left from a different project was all it needed to spruce it up a bit. It’s a nice touch don’t you think? I am using mine for all the things that go along with my Silhouette Mint. The little machine, cords, inks, blank stamps and the stamp I have created and the ones I make in the future. 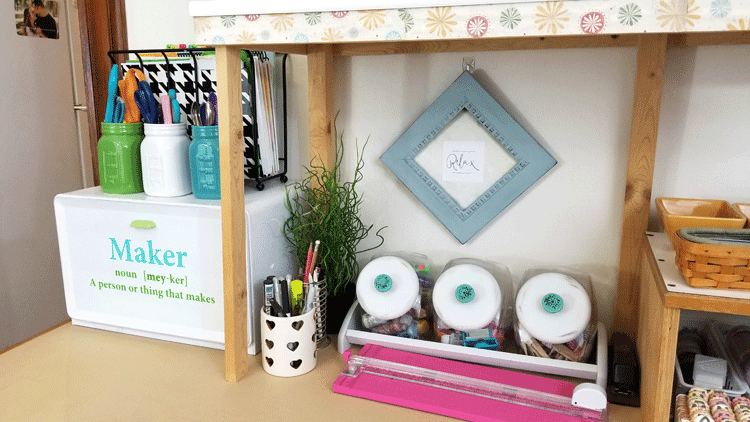 Check out how nice it looks in my craft space! I have a lot of room to add more ink colors and supplies too. I love room to grow! You can see how I make my own rubber stamps using Mint. I love this thing. It really does deserve it’s own little crafty storage space. 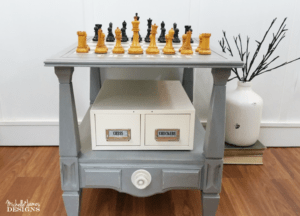 Don’t forget to check out the links below of my blogger friends who also upcycled some amazing items they found at thrift stores or garage sales. It is so fun to see what other people do and get inspiration and ideas! Wow, Michelle! This is definitely one of my favorites that you’ve upcycled. It looks like it was made for your space and purpose. Love it! Hi Nancy! Thank you. I think it is one of my favorites too. It really does look nice. Even Jeff said I did an excellent job. Woot Woot! LOL! I love how this turned out Michelle! The phrase is super cute and I like how you added the definition. Also glad to have you back! Hi Angela! It is good to be back. I am glad you like my project. It was so fun and I am so happy with it. I have so many “projects” just waiting in the garage. I need to get going. 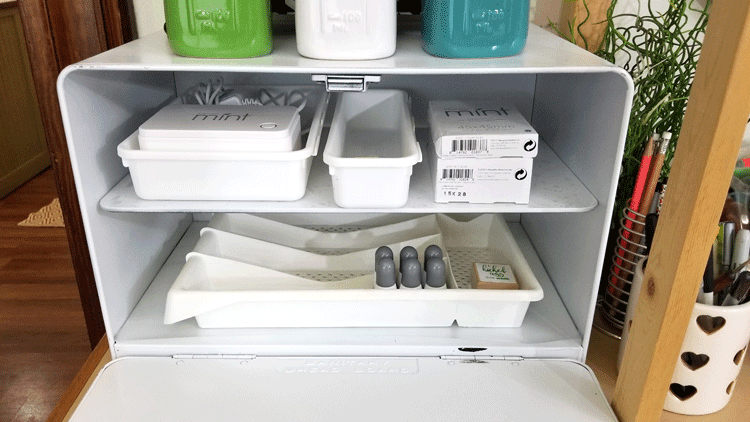 This is such a great idea for extra storage!! Love how it turned out! Thank you Emy! 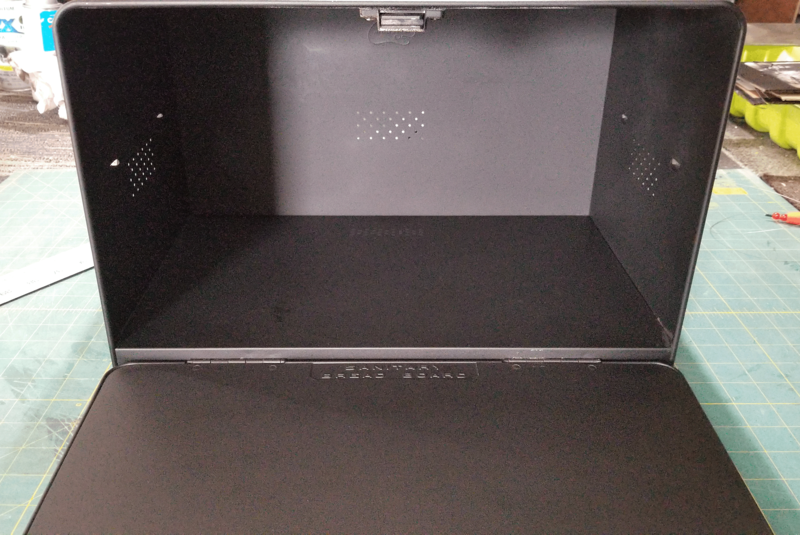 I needed more storage and sometimes I just wonder how I am going to make that work. This was the perfect solution. Oh my gosh I love this idea so much Michelle! 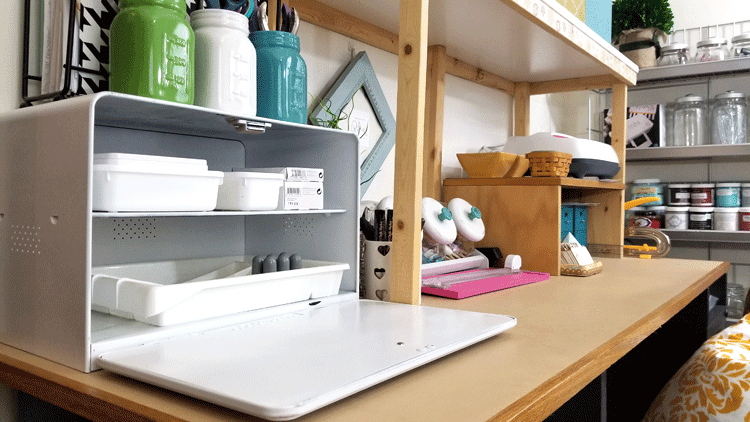 What a creative way to add some extra storage! Thanks Amanda! It was fun and didn’t take very long, except for the paint drying and it works perfectly! Michelle, your make over if this ok breadbox is stunning! I love room to grow my creativity, too. I just got a cutting machine for Christmas and amm still learning. I have used transfer tape but I’ll make sure to check how to use several colours vinyl in one step. Thanks for sharing! Oh, and those matching hats on top are super cute, too. 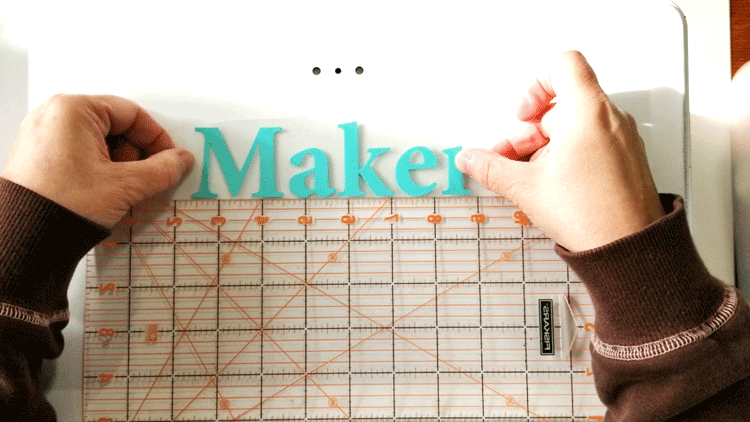 I am so glad you got a cutting machine. You will love it. I use mine all of the time and it was definitely worth the money we spent to get it. Thanks so much for your kind words. Great project. You have motivated me to get better acquainted with my Silhouette. Thanks! Thank you Denise. I do love my Silhouette. I hadn’t used it for a while but now I am using it for almost every project. 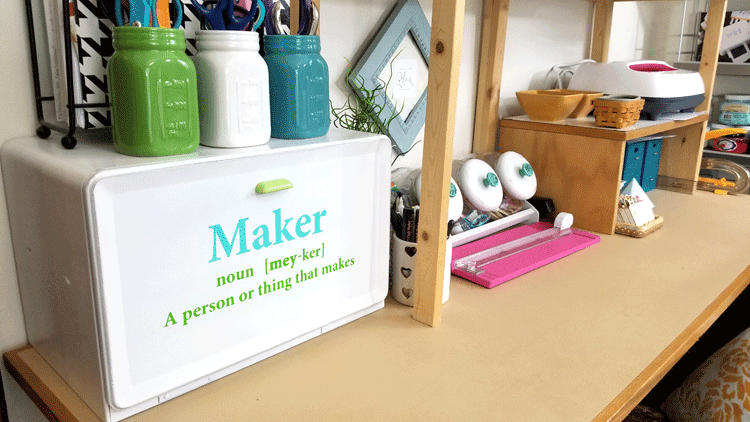 That looks awesome in your craft space. 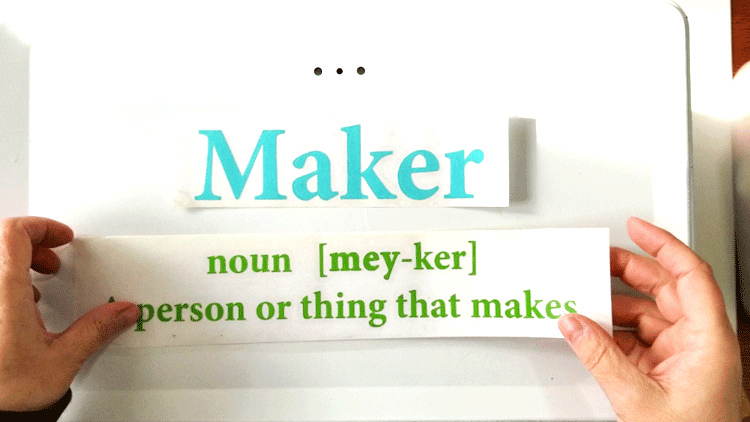 I love how you put a definition of maker on it and in such pretty colors. I love using spray paint, it’s so much easier. I need to find a bread box! Glad your back in the challenge. Hi Jenny. Thank you. I love it in my craft space too. Spray paint is definitely my “go to” paint and always my first choice! There are so many fun colors now. I love this makeover! I see bread boxes all the time at thrift stores but never much inspiration for updating them. Thanks for sharing! Thanks so much. It was a ton of fun. You should pick one up next time you see one. They really are great for storage and the charging station in our guest room is a big hit. Now I will be on a mission to find a vintage bread box! This is the cutest storage container and I love the saying that you added it to it. 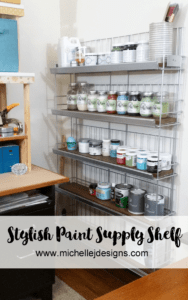 Perfect for your craft space! Hi Heather. Thanks so much. I love finding these. I have passed a couple up before but I don’t think I will any more. They are too fun. It is a perfect compliment to your craft room. l love how you made the sign to add personality to the front. It came out great! Thank you Debra! I does fit in really well with the rest of my stuff. It was meant to be I guess. LOL! This is such a great makeover Michelle! Love the quote you used and your tutorial is awesome! Thank you Michelle! It is fun when a makeover comes out just the way you wanted it to. You are so engaging and of course I do like your breadbox makeover so much. Thanks for the wonderful inspiration. Hi Sue! Thank you. It was so fun to make and I love the way it turned out! You are so nice. Michelle this is such a huge improvement over the original. I love those pretty colors on the lettering!! Thank you Mary! I just love the colors too. My hubby hates teal but I use spots of it here and there. LOL! So cute and creative, Michelle!!! 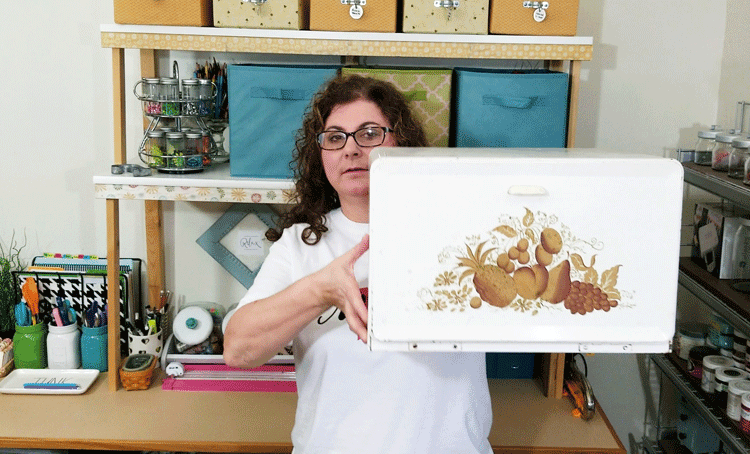 I love this idea of repurposing a breadbox into a craft supply mini closet. 🙂 I think you are right, we can never have enough storage bins for storage. Thank you Barbara! I think I may need to find more bread boxes since this one is working out so well. I love fun storage! Hey Michelle. 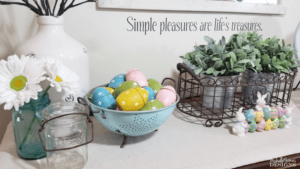 I love this idea and you know we have one of these sitting in our laundry room. Pinning for later!! Thanks so much Patti!! That is great that you have one. I love it. This turned out so nice! I love how perfect it looks in your crafting space. Thank you Ali! It fit so perfectly and I was so happy about it.